In any community, the police play an integral role in the day-to-day operations of the town. Even when they are not seen, the communal understanding around their presence helps to prevent crime by proposing a deterrent. That deterrent is only possible if the police force is well-enough equipped to handle a variety of situations. That’s why tactical vehicle outfitters are so integral to the well-being of any city. It’s critical that the police force has the correct tools at their disposal to do their jobs effectively. What kind of tools do law enforcement units need to properly police? One of the most important is a reliable computer system. Tactical vehicle outfitters are responsible for installing a wide variety of accessories and equipment to police vehicles, including securing police computers. It’s imperative that the police have access to a database of relevant information so they can make informed judgements in the field. The computer has to be durable enough to withstand any kind of travel environment while also being a strong enough computer to not cause any delays when searching information. Custom vehicles are specially designed to have compartments that allow these computers to be securely fastened beside the driver’s seat. That way they have convenient access when they need it. Take a look at the above image. Another part of the duty that tactical vehicle outfitters hold revolves around vehicular lighting. 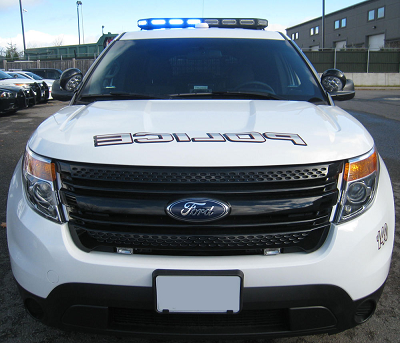 Have you ever seen a police vehicle before that did not carry an emergency light with them? It’s important to understand as well that these are much more than simple ordinary lights. They have a wide variety of programmable settings (including custom options) in order to adapt to many situations. They also emit a brighter and more vibrant light than many of the normally used lighting fixtures of this type. Since every vehicle needs one, tactical vehicle outfitters are kept pretty busy. This allows for specific relationships to develop between the fleet outfitter and the police service, and is part of how outfitters help keep the country safe. Thankfully, Darta Enterprises is an experienced fleet outfitter who has worked with numerous police agencies. If you have any questions about our offerings, please contact us directly.